L'établissement familial Hotel Tarongeta vous accueille dans le pittoresque village de pêcheurs de Cadaqués, à seulement 150 mètres de la plage. Une connexion Wi-Fi gratuite est disponible.Vous pourrez stationner gratuitement sur place. Les chambres lumineuses et climatisées de l'hôtel Tarongeta disposent d'une télévision à écran plat et d'un coffre-fort. Elles sont également chauffées et comportent une salle de bains privative. L'Hotel Tarongeta vous servira un petit-déjeuner buffet. L'établissement abrite également un bar et dispose d'une charmante cour intérieure dotée d'un coin salon. Vous trouverez un arrêt de bus à proximité, lequel vous permettra d'accéder à Port Lligat et à la célèbre résidence de Dali. Le personnel d'accueil pourra vous conseiller sur les activités à faire et les sites d'intérêt à visiter à Cadaqués et dans la région. Noise of other people, incl noisy plumbing arrangements. Literie confortable, petit déjeuner très correct, patronne sympathique, proximité du centre ville . 2 petits lits au lieu d'un grand. Hotel tranquilo con habitaciones confortables y limpias. Buena relación calidad-precio. la ubicación con parking, es perfecta. directa a la carretera y dos pasos del paseo. Sorolls de les tuberies molt molestos i calefacció a tot drap inecesària però solventats amb eficacia. La habitación bastante cómoda, me tocó una de las hab remodeladas. No sé cómo son las más viejas. Una de las encargadas de la recepción muy amable, me dió el dato de un restaurante "El Xiringuito", es Excelente! Queda acerca de la casa de Dalí, 100% recomendable! El desayuno bastante bueno viendo como suelen ser los desayunos en Europa. La ubicación es perfecta sí vas en autobús, queda literalmente al lado y a 5 minutos caminando de la playa. La otra encargada de la recepción fue poco amable. La luz en los pasillos se apaga muy rápido mientras estas caminando por ellos. Warm, friendly and competent staff. Great location. Sound-proofing between rooms not the best, but with polite neighbors it's OK. Very friendly service and nicely decorated room with new and very stylish bathroom. Walls are very thin, so ear plugs are highly recommended... Also, it would have been great to have a balcony or at least a nice view. Fri parkering, läget och priset. Personalens attityder. Kallt kaffe. Väldigt lyhört. Pation var på bild men den fick man inte beträda. Que tuviesen el detalle de ofrecernos una de las habitaciones reformadas al precio original, cuando estas son algo más caras. La habitación era muy muy agradable, y la cama muy confortable. Volveremos. La ducha salpicaba algo de agua fuera, el separador tendría que ser algo más grande. La temperatura del agua variaba un poco. Hotel bien situado, limpio y correcto.El personal es super amable. Nos quedamos sin batería en el coche y la dueña del hotel se quedó con nosotros hasta que encontró la solución. Gracias a ella nuestro viaje continuó tal y como fué planificado. Muchas gracias. About a five minute walk to the beach. Right next to the bus station. Staff was helpful, but not all of them spoke english - knowing even a little spanish/catalan would have helped on my part. New rooms is nice, I'd like it more, that with old furniture (stayed in this hotel in previous years). Fine hotel for staying for few days. Pleasant hotel, helpful staff, clean room. Everything is just as it should be. Also, enough parking space. Inexpensive hotel in Cadaques that had parking. Good for a night or two if you are off to see Dali's residence, which is highly recommended. Book your tickets online though in advance for the Dali tour. Up from the beach/restaurant area but we like that as it is usually quieter and we like to walk through town. The staff is very kind and nice. The room is clean and tidy. Very quiet area near shops and has friendly staff. Also if you do not have a car it is only 3 minutes walking distance to bus station. A clean and very basic place but located close to the centre. Having a place to park the car was great. Dark room and intermittent wifi access. hotel is very near the bus station.friendly atmosphere.very nice owner manager.a good choice in a very lovely small town. a little noisy,but not more than most hotel in spain. It is close to the old town and the beach. Parking is included in the room price, and parking in the area is difficult during summer weekends. Rooms in the 3rd floor are renovated while those on 1st and 2nd are still to be renovated. Elevator was out of service and we had a room on the 3rd floor. The locatin of the hotel is very good, there is a private parking. Rooms are clean, nice and comfortable. The staff is very kind. Good variety of food for breakfast. Me and my husband really enjoyed our stay and would gladly stay again in this hotel. While taking a shower the water gets on the floor. Lovely rooms. More than you'd expect for the money in that area. It is a beautiful area but this makes it quite expensive. Hotel Tarongeta is a great option for anyone wishing to explore. Parking can be a problem if you get back late. 8 Euro pp breakfast seemed a bit expensive - you can get a great breakfast in the town for much less. We had a renovated room. The bed was comfortable. It's a 10 minute walk to the beautiful beach & Cami-de-ronda footpath. There are supermarkets 2 minute walk away. The older female receptionist was unfriendly & unhelpful. The rest of the staff were pleasant & helpful. Excellent modern room, with private balcony. Staff only too happy to assist as wife had a broken hand. within walking distance to downtown and the beach. Breakfast started too late. One of the mattresses had a spring sticking out. Friendly and helpful staff. Breakfast and lounge area appears attractive but we did not use the facilities. Not in an attractive location but within walking distance of the centre. Looks a bit run down from outside. Scruffy "garden". We booked this hotel because it had air conditioning. We were booked into a newly renovated room in which unfortunately the air conditioning did not work and there was no place to put you lap top, the shelf was too small!!! Fortunately we were moved to another room, not renovated but with working air conditioning and somewhere to put the lap top. 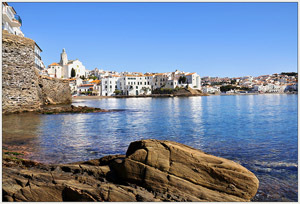 The hotel is easy to find, in a good location near to the town centre and has a car park which is very important in Cadaques. I have already completed a survey about Tarongeta charging us a deposit, and double tourist tax, and not refunding it at checkout. Issue still ongoing via Booking.com Customer Services. The hotel took a deposit for both rooms (which they were not supposed to do) and only refunded one of them when we paid the final bill. They also charged our son double tourist tax. This is an ongoing issue with Booking.com. 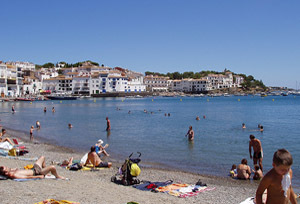 The hotel was very close to the main road into Cadaques, the rooms are basic, the shower was hand-held. Our room was one which had been recently modernised with a very pleasant colour scheme and good modern bathroom. The breakfast was good. The plug in the washbasin didn't fit, despite the new bathroom, and our balcony looked on to a bare brick wall and the town car park - though the church was visible beyond! Location was good. Easy to find and close to the seafront. Cadaques is a jewel especially after dark. Staff were friendly and helpful. Rooms spotless if a bit sparse. Breakfast excellent. Miserable "El Heffa" who should be in a different job. Breakfast was 08.30 if she could be bothered to open up. Stay next door at "Nou Estrella" where staff are great! We stayed at the Hotel for 1 night. We got a nice restored room with a balcony to the internal patio. Perfect for a short stay. Breakfast was basic and good. The location was very good (5 min. walk from sea shore and center). Includes free parking (which makes it very convenient). The room was a bit small and dark. clean hotel,large and clean rooms,tasty breakfast,good locatıon and Veronica. The location was great, just beside the bus stop. The rooms have just been redone so are nice and clean. I had a balcony which was very nice too over on the inside of the hotel looking over nextdoor and the village church. Not having towels one day then the next not finding any soaps at all. Had to ask for both times and received them quickly. The older lady on the weekend desk wasn't very friendly but I think she doesn't speak much English. The Hotel location was ideal for driving as its one of the first you meet in Cadaques and everything is within walking distance. The outside of the hotel does not do it justice. It was excellent, very modern large room with great facilities with free car parking at a great price in a super location five/10 minute walk to the shops/bars/restos etc. Friendly staff. Excellent location, both close to the entrance to the village and a fairly short walking distance to the center/beach. We had a non-renovated room and the ventilation in the bathroom was not good. 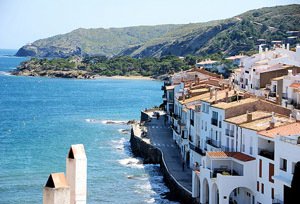 Tarongeta is simple, cost-effective, clean and easy-to-access hotel in a beautiful Spanish beachside village. It's only 5 min walk from the shore. Dalí house museum is only 5 min by car. Location was great (for the price!) 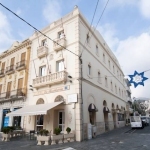 - easy to find on your way into town, easy parking lot, and just 5 min walk to the busy seaside area or the old quarter. Staff was very helpful with maps & restaurants and concierge services. Very comfortable bed in the renovated room we had. Newly renovated rooms are very chic, but a bit cold and austere, and didn't feel terribly clean. Also - no real door on the bathroom (just glass) was very bizarre! Nice little balcony for taking the air, although right on the main street so lots of traffic noise if you leave the windows open. Very clean. Staff answered questions and directed us how to get places of interest. Extrememly nice common areas for eating and relaxing. Easy to find and park. The entire staff was extremely helpful. It was a charming place and the value couldn't be beat. Out the back of the town, not the most attractive location. The shower head was broken. Expensive for the room and location. Comfortable clean room, friendly enough staff. Awesome free car park out the back which is very handy in a town like Cadaques. Very helpful staff. Great recommendations. The town is in an amazing location and we hiked all day one of the days. We booked a double room, but they said they only had 2 twin beds next to each other or an upgraded double room for extra money. Not a bad thing though, just not what we expected! A cosy hotel with a nice design. The girl who made us check-in was really wonderful! The room was comfortable, although there was only the most needed things. If you don't look for luxury, it's a perfect choice. Clean, comfortable, updated room; friendly staff; free onsite parking. Good location --the hotel is on the outskirts of town, but still only a few minutes walk to the beach front along a main shopping street. 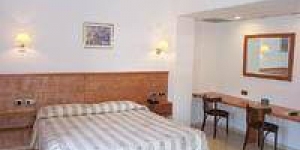 The staff was very nice, the building and rooms were kept clean at all times, easy to park and very central location. It was all just fine -- no complaints. We didn't opt for the breakfast which, at 8 euros, did not seem like good value. Onsite parking was a plus. Absolutely everything . Staff so helpful and lovely. 5 star for cleanliness, cleaning staff do a wonderful job. Great breakfast. Five minute walk to waterfront. Supermarket, bars, restaurants close by. Plenty of parking. Would highly recommend. Easy check in, free parking, clean, spacious, great bathroom for Spain. 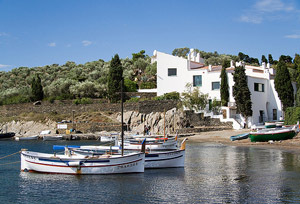 Excellent location in heart of cadaques. Easy to find and good parking facilities. The staff was very helpful during our entire stay in Cadaques. The location, although not right on the beach, was central. Cadeques itself is a truly magical place that has not yet been overrun by tourism. The scenery was unreal, and the people were very nice. I booked two rooms in this hotel and canceled one long before our stay through booking.com. When we arrived however, the hotel informed us that their system does not show the cancellation, even though we received emails from booking.com to confirm it. This caused a bit of a stress because we had to contact booking.com to get everything straightened out. Hotel was close to bus station and within easy reach if centre of cadaques. Staff were friendly and it was very clean. Good breakfast. Comfortable bed. Off street parking. A few mins walk to everything and short drive to Dali House. Pleasant and helpful staff.